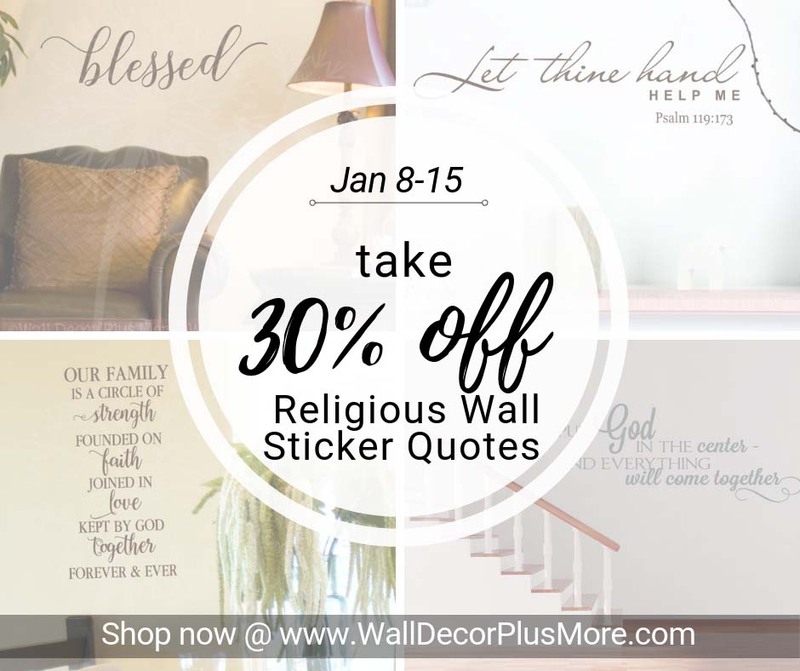 Religious and Scriptural Verse Wall Decals make great Home and Wall Decorations! View our variety of Bible and Religious verses and quotes and Order Today. Each wall decal can be cut up and re-spaced to fit your Home Décor space. (Just be sure to not cut any part of the actual sticker – just the backing and transfer tape). << ON SALE THIS WEEK! Take 30% off any item in the Religious Category. Your discounts will appear in your cart. Happy Shopping!